On Thursday, 28th September 2017, Ileana Tounta Contemporary Art Center presents the exhibition of Maria Tzanakou and Valia Papastamou. 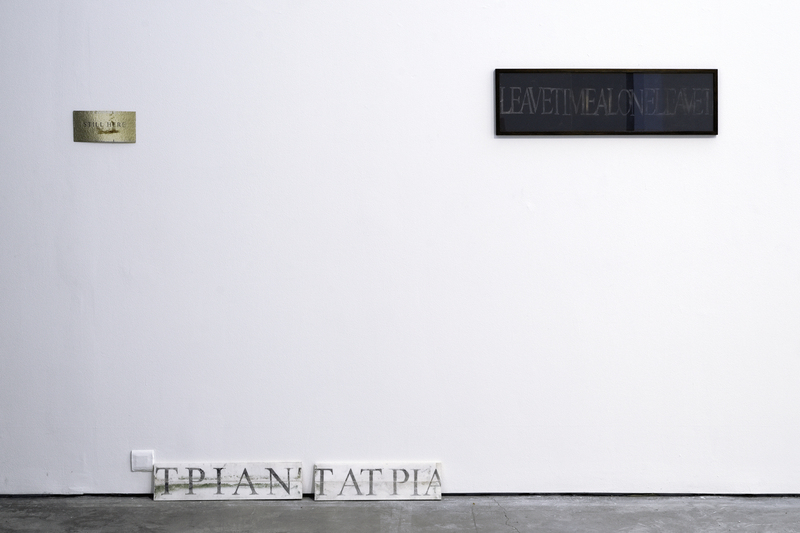 On the two-person show of Maria Tzanakou and Valia Papastamou presented on the first floor of the gallery, the two artists create on an equal artistic basis a dialogue on the various mechanisms of language. With different mediums, but with the same delicate handling of their materials, they attempt to develop a personal form of speech, in which the meaning often remains stranded in silence. 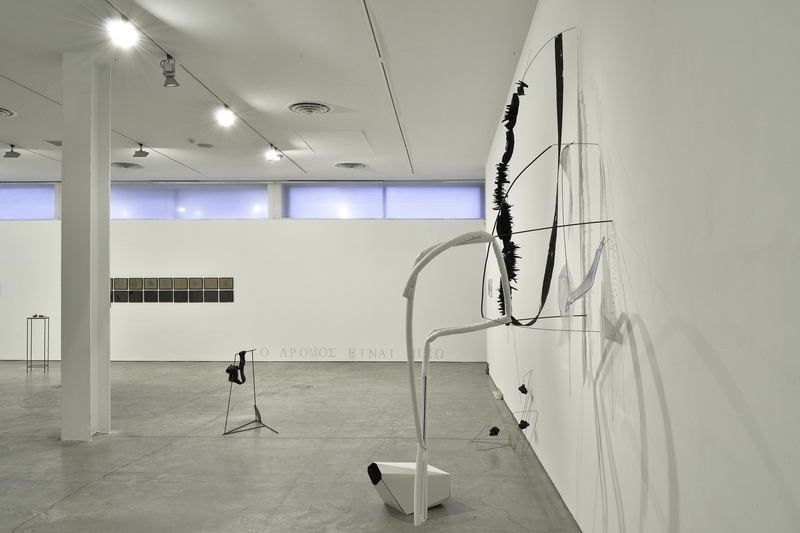 In Tzanakou’s case, this communication comes through the written speech which transforms into an artwork, whilst, in contrast, in Papastamou’s body of work it articulates through the sculptures she creates. 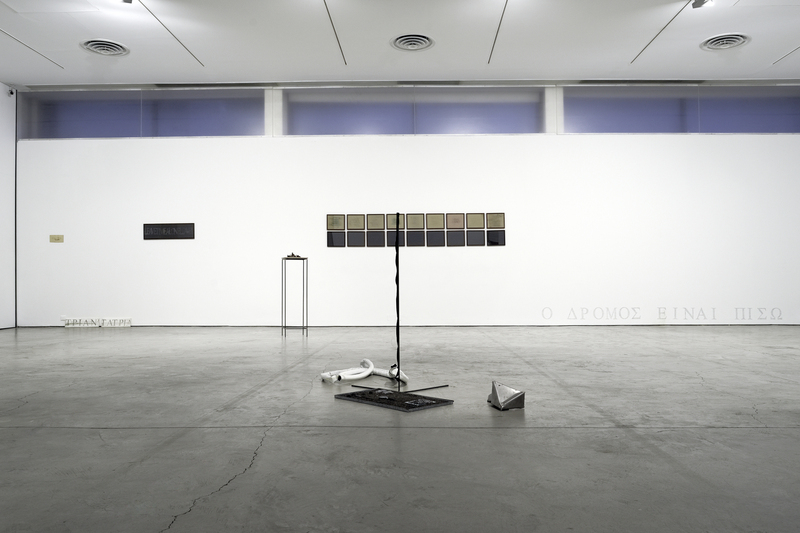 As the artist Irini Bachlitzanaki points out, in writing about Maria Tzanakou’s installation 33 is my favourite word, the artist presents a series of works that deal with the passage of time, the meaning of return, but also the constant effort of creating and constituting personal speech. Through personal references, which purposefully remain vague and unattached, and through an obvious economy of visual mediums, Tzanakou presents a series of works-traces. 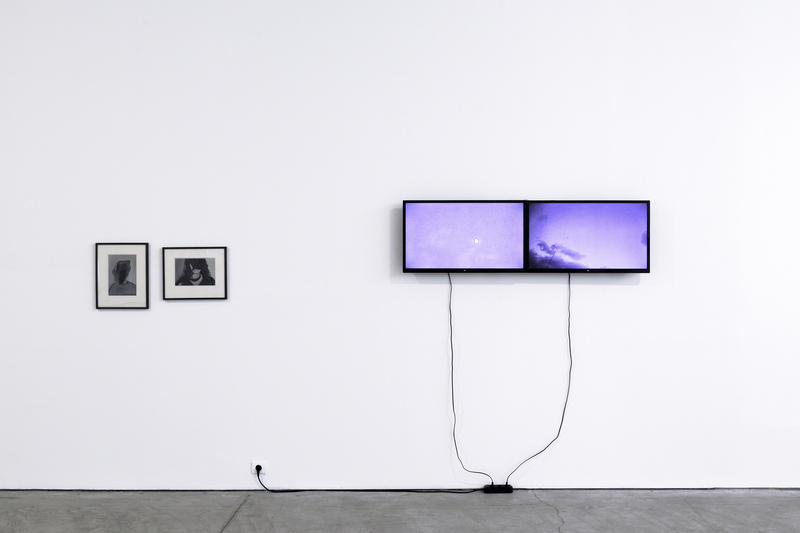 Drawings, sculptures, oil on canvas and unedited videos are all equal in value snapshots, which, when placed in the exhibition space, compose a fragmentary narration. 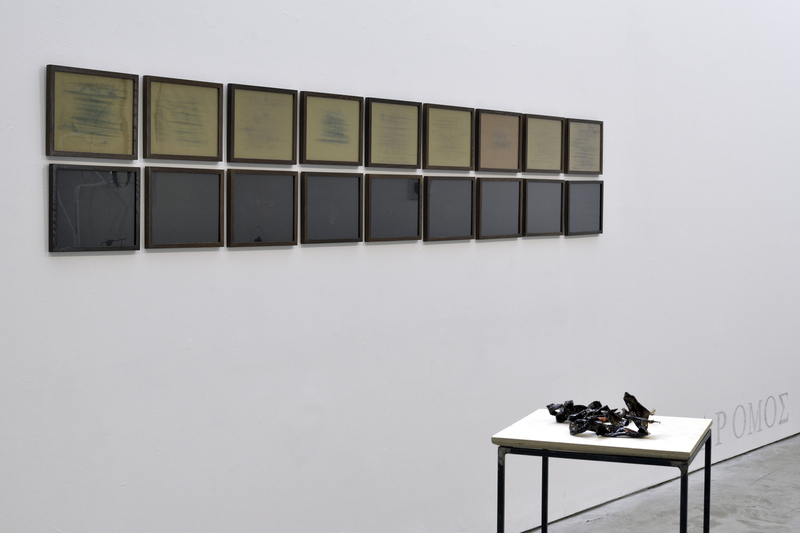 In the core of Tzanakou’s work reside the words that consist for many years the means and subject of her research, a research which remains in progress. The words and phrases themselves become the ground of negotiation: through odd play on words, playful mutations, surrealist loans, but also the position they occupy in the physical space, the works tiptoe constantly between the obvious and the latent meaning, literalism and metaphor. The immediacy, spontaneity and feeling of intimacy that regulate the spoken language are combined in the overall body of the works, which are presented with severity, a feeling of permanence, and the gravity of the written language. 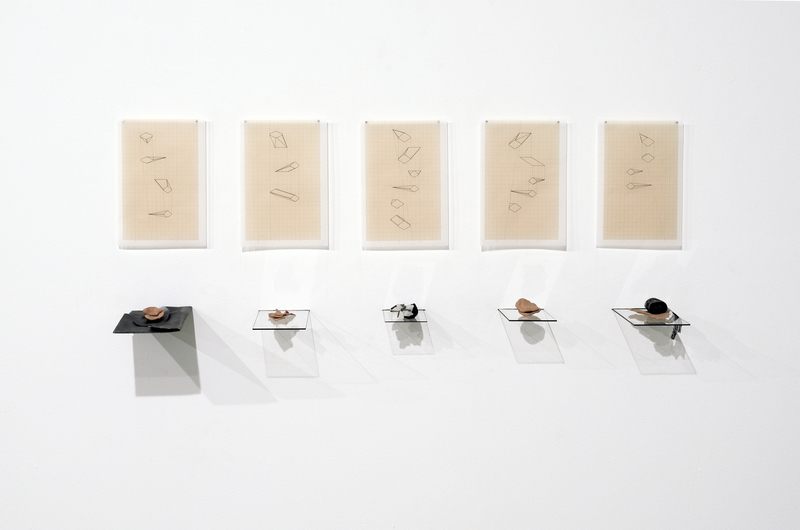 Valia Papastamou perceives Phonological minerals as sculptures of a possible speech. 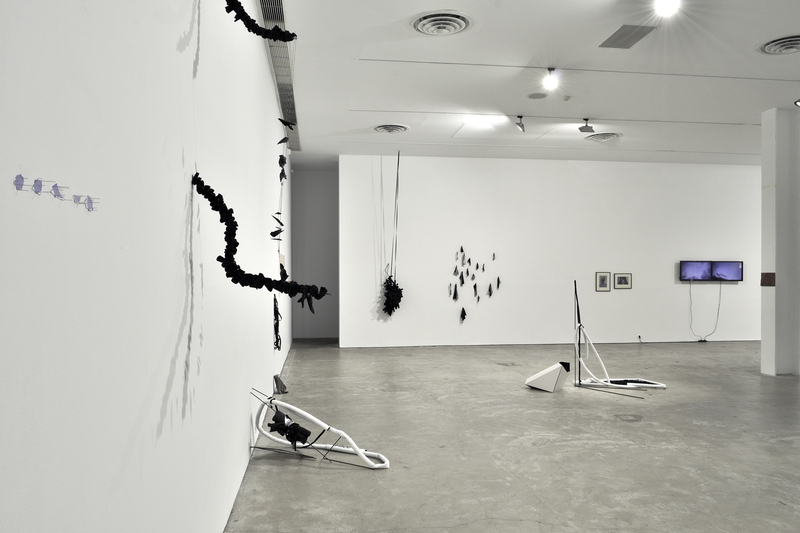 They emerge as acts of a sculpture of speech which escape the limits of the oral cavity, attempting to reach the Other. This effort articulates the language-as-object through the reformulation of different versions of an oral address. The versions of the phonological mining consist of formations of a verbal world which surfaces in order to reside while language is already the residence of being. They are formulated as sculptural possibilities of the very effort of hauling the voice, through a double movement of appropriation and alienation of its unfolding. Phonological minerals appear as snapshots of speech acts that have been reduced to a subtle silence, a breach on the speech continuum, which leads the speech dynamic to its material limits. The action of formulating those phonological minerals develops as a procedure in which happens that-which-is-not-language. A procedure of openness, during which the mouth is never a mouth of sealed silence.